Interaction design is by now a well-understood discipline. As a professional community we have refined the way we think and talk about what we do and how we do our work. Design is both art and science, yet while we teach methods and practices for hard design skills, we don’t teach practices that address the art of design, which is often mystified as “creative genius”. Irene’s talk will explore how through meditation and yoga we can acquire the most critical skills we need to be great designers: how might we become more focused so we can deliver the one or two key features that would be most useful; how might we more effectively cultivate access to our empathy and insight to create usable products; and how we can be more innovative and bring inspiration, delight, and heart to the people who use the products we design. About Irene: Irene Au is dedicated to raising the strategic value of design and user research within software companies through better methods and practices, processes, leadership, and quality. Irene led UI Design at Google for six years, where her team was responsible for design and user research for all of Google's products worldwide. Prior to Google, Irene established and led the User Experience and Design team at Yahoo! for eight years, and before that, she was at Netscape. 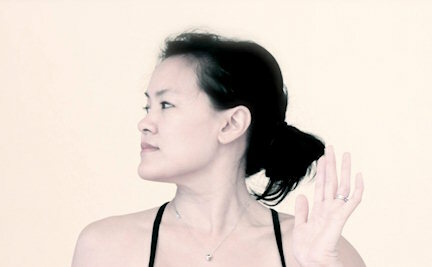 She now advises and consults for companies on all matters UX and teaches yoga three days a week.